I love being a martyr. No one around here knows what it's like to shoulder the weight of all the housekeeping, laundry, child-rearing and oh, yes, a JOB. I, and I alone, am responsible for the wheels turning, the homework management, the drycleaning, the dog feeding, the shoe locating and the cheerio unsticking. If only this ungrateful lot knew how much I sacrifice my own goals and dreams just to keep my family organized! Why, I'd be the CEO of my Very Important Creative Business if I didn't have to scrub every potty and pick up after these kids day after day. No doubt the world would recognize the greatness that this family takes for granted as they sit on the couch with their video games and ipods, asking for snacks served on a tray. Oh, self-pity fits like a comfortable shoe. So snug. I'm warmed by the tears of despair that flow from my downturned eyes. My deep sighs as I go about my day are the only clue that my worth is less than a serf, that my duty is to work my fingers to the bone, and that my every waking moment is spent in servitude. Is this you? Yeah, it's me too. But Tidy People rarely have this affliction, this affinity for sorrow. They know the art of delegation. Sharing the work is an important part of family structure and function. Oh, I know. Everyone complains and groans when asked to pitch in, and the demonstration of lethargy whilst doing their jobs is more than a parent can take. But perhaps some of this is a result of inconsistent delegation on our part. Making work - chores - part of every family member's daily life causes a household to run with a rhythm. There is less complaining, because everyone knows what is expected. There is more overall joy, because everyone is a part of the team. It makes each member feel significant. Unfortunately, there is less martydom. You'll have to get used to feeling happy. Today's Small Thing is to delegate. Give a time limit. Every job takes as much time as allotted to it...so don't make it drag on. Rotate jobs. Try a spinning wheel. Show appreciation, but don't act like they've done you a big favor for picking up their own socks. Use a chore chart. ListPlanit has a bunch of great ones! Here are my Top Ten Tips for getting kids to help around the house. What are YOUR tips? Please share!! What tips will you make use of today? Now, how about some coffee, the virtual kind? Link up for a chance to visit with new friends. Simply share what's going on in your life! We'd love to know. You've heard the saying: An ounce of prevention is worth a pound of cure. It's often murmured by smug people as they darn their socks. You know....a stitch in time? Well, THANK YOU for that Ad Council moment, Ms.Smuggles. Aren't YOU wonderful! You know, once I'm over feeling slightly defensive for waiting until there's a proverbial hole in my bucket, I see that there is some real wisdom in "prevention." Today's Tidy Habit is: prevent messes before they happen. Tidy people have the foresight to put rugs near entryways for wiping feet. SUPER tidy people make people take their shoes off before going any further into the house. I really like that idea in theory, but...my feet hurt when I don't wear shoes. Anyway, I've noticed that Tidies are always one step ahead of the mess tsunamies. They don't let their kids eat and drink on the couch. Horrors! Children are confined to tables or blankets to eat their snacks? That's child abuse. Tidies use things like Water Armour to keep shower walls and doors clear of soap scum. 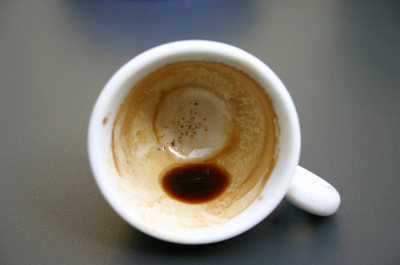 Tidies have stain-resistant coatings on their carpet and furniture. Brilliant. They put coasters under cups and glasses. Placemats under plates. Imagine! Those crazy Tidies use spatter-guards on their frying pans. They put foil in the bottom of their ovens. They put extra trashbags in the bottom of trashcans. They put their toasters on small trays to catch the crumbs. I've even seen them put bibs on babies! And mats under their highchairs! Thinking, thinking! These people are always thinking ahead, so that when the inevitable spill or mess happens, it is a cinch to clean up. I have such begrudging admiration. Today's Small Thing is to use an ounce of prevention. Take one of the ideas above....or one of your own...to stop messes before they happen. Your kids will live if you make they eat their snacks in the kitchen, AT THE TABLE. You will have less mess to clean AND create some good eating habits in the process. Taking your dirty shoes off really isn't that hard...especially if you have some Mr. Roger's styled house shoes to slip into. Maybe some Scotch-guard on your furniture will keep it looking nicer, longer. I'll bet the list is endless. You choose! I'd love to hear your Prevention Tips! What tactics do you use to stop messes in their tracks? I'm really getting into these Tidy Habits....how about you?? Link up below for Company Girl Coffee! (If you don't see the link in your email, hop on over to the blog.) I've gotten behind on answering comments, emails and blog reading, but I hope to catch up this weekend....and this is a great way to do it! What's going on in your life! Let us know! This week I've been in Production Mode to crank out canvas prints to sell at the Desperate for Jesus Conference in Dallas. We were asked to produce artwork for Chrystal Evans Hurst, who is speaking on the theme from her new book Kingdom Woman, and I'm pleased to say that she will have seven designs available on Saturday! I'll be sharing a merch table with her and will have a bunch of my own pieces there as well. It has been a production to get 100 pieces designed, printed, cut, framed and packaged. I cannot discuss the framing fiasco that occurred at this time because it still hurts too much. One thing I've learned over the years is that a production line is its own art form. What seems clumsy and awkward in the beginning, like wrangling canvas around frames, becomes easier and easier with each piece you do. Actions become swift and confident, the repetition becomes thoughtless as your hands do what you once thought impossible. My first canvas took about 20 minutes to final assemble, and at the end I could do them in eight minutes apiece. I couldn't believe how quickly I got good at it. Parenthood is much the same way. Those awkward first diaper changes somehow become a magician's trick that can be done in moving vehicles while doing the motions to "The Wheels on the Bus" to entertain the other children. You learn you can balance a kid on one hip while vacuuming, and you can hold a conversation with a four year old while simultaneously making a grocery list. You learn how to untangle hair and untangle arguments. You can tell a fake cry from a real one in an instant. You grow eyes in the back of your head. It's practice and repetition that are the hallmarks of motherhood. Folding socks and picking up, washing dishes and kissing knees. Saying prayers, smoothing foreheads, tickling tummies. Sometimes, in the repetition, we find that we are doing what we once considered impossible -- without so much as a thought. Our hands move while our minds are a million miles away. Today's Small Thing is to stop the production line and be engaged in the moment. Pause to give thanks for the things that fill your life. You are doing tasks today that you've done thousands of times before. And this day is a perfect day to infuse each movement with a prayer of gratefulness for the never-ending laundry pile, or the dishes that multiply like rabbits. Or the stack of papers at work, the traffic and the noise. They are signs of life - a blessed life - and it's easy to forget that in the production-line actions of a woman's life. We've become so accustomed to efficiency and simplifying and moving quickly - all important skills - but they can rob us of the beauty of the messes we're trying so hard to clean up. Give thanks. Be engaged. Stop and listen. Just BE. It's Friday, and that means it's time to link up for Company Girl Coffee! It's easy and fun - no need to shower and primp for visitors....just throw open your blog door and invite people in! Link up below, then stop in at the blog listed just above yours! Have a great weekend. I am so grateful for each of you. Kingdom Woman, a new book by my dear friend, Chrystal Evans Hurst and her father, Dr. Tony Evans, came out this week. I've been tweeting and Facebooking about it, because I love the message in it. Chrystal is as real as they come, and her heart for the woman who feels like anything BUT a victorious virtuous woman just shines through. She and I have sat on my couch and talked for hours about the journeys we're on as women (and moms) and I always come away refreshed and inspired to trust that God sees us where we are at. I love when leaders don't try to act like they are perfect and have it all together, but instead share from a place of vulnerability and truth. That's what Chrystal has done here along with her dad, and I'm excited to tell you about it. You'll fall in love with her, just like I have. I hope you'll go get a copy today! When you order by July 20, you'll receive some great freebies. Thinking about what it means to be a "Kingdom Woman" brings me to Today's Small Thing. "When a kingdom woman's alarm sounds each morning, the Devil tries to hit her snooze button. He'll do whatever he can to try to stop her from taking on a new day with the mind of God. But a kingdom woman won't stop doing all she can for God's kingdom until she makes the Devil regret ever messing with her." That's the first paragraph from the book. Good, huh? Today's Small Thing is to do something positive for God's kingdom. Now before you protest that it might be too hard or inconvenient to travel to the missionfield today, let's think about it. When you stop and consider it, almost everything we do in a day is for His kingdom whether we realize it or not. When we serve others, give of our time, share our talents, lend a listening ear, love our families, spend time in quiet meditation or simply drive a carpool....all of it can be used for His glory. It's really a matter of the heart and mind. It's worship, my friends. Worship flows through you as an outward expression of the inward work of grace. In other words, when your heart is in a place of gratitude and is focused on eternal things, everything else falls into proper alignment. You can see your "mundane" tasks as a way to give back to Him, because there is joy in serving when you know you are under His leadership and care. Today, take some time to be intentional about God's kingdom. Look at where He has placed you: in your workplace, your home, your neighborhood, your grocery store, your family. And then ask how you can be a vessel for His glory in your sphere of influence. The kingdom of God is found in everyday people and everyday events - don't miss what God can do because you're only looking for "big" things to happen. Take on a kingdom mindset and your world will change. Let us know: what will you do for God's kingdom today? Let's encourage each other to have an eternal focus, even in the littlest of things! Now, let's have some Friday Coffee! Link up below for a fun round of visiting and getting to know other bloggers. After you link up, take the time to stop in at the blog directly above yours and say hello! I'm off to see my little Ivy today and I can hardly wait. I'm going to spend the morning with my daughter and granddaughter, so I'm flying high. :) She is growing so fast - smiling and cooing....she really needs me to come and pay attention to her. Since it's Friday, how about an Small Thing that you can do over the weekend? I think I'd like a little extra time to complete this, even though it isn't difficult. I got to thinking about the term "Top Drawer," the other day. Top Drawer is slang for "top notch" or "quality" or "the best." Other words to describe Top Drawer are: excellent, first class, first rate, the best, important. What a fantastic phrase to use! I'm going to find ways to incorporate it more often. Then I got to thinking about the ACTUAL top drawer, as in almost every top drawer in my house. Somehow, each top drawer has become a catch-all for things I don't know what to do with in that particular room. Bedroom, kitchen, living room, bathroom.....each room has its own top drawer that is anything BUT excellent. Today's Small Thing is to focus on the top drawers in your house. You can simply pick one to work on, or tackle as many as you like. First, remove the stuff that can be tossed: the Disney VHS tapes that you no longer have a player for. The receipts from 2005. The broken hair clips. The miscellany that you paw through every time you're looking for something useful. Then, organize what's left. If it's an underwear drawer, then take out whatever is not underwear and fold the underwear. It seems so obvious, doesn't it? Hmmm. Group like items, add dividers, shift things around. It's a job that could take five small minutes, but will really make you feel "Top Drawer" when you're done! What is YOUR top drawer issue? Is there one in particular that needs attention? Which one (or ones) will you work on? Now, let's do a little Friday Company Girl Coffee Link Up! Simply link your blog below to share what's going on in your life! It's a great way to meet new people and find new blogs to read. And, do me a favor....after you link up, stop in at the blog that's JUST ABOVE YOURS in the list and say hello! That way we are sure that everyone gets a new visitor. You don't have to get all fancy with your posts - just let us know what you're working on, share what's new, show us a picture, share a scripture that God's been speaking to you. Have a great weekend, my friends! As I've been home by myself this week, I've been thinking. You know, since there's been no one to talk to, thinking seemed like a good alternative to yakking to myself. My mind has been flitting, settling and flitting again, on the idea of "seasons of life," and how I can feel my own season changing. Not long ago, I could never have imagined spending four hours by myself, let alone a whole week! Wow, I would have given anything for just a few moments with no little people talking to me, asking me for things, making me watch them do tricks with their toes, or arguing with a sibling about who got more. I'd collapse into bed and wish, oh wish, I could get away for an afternoon, or hey, I'd settle for an uninterrupted moment in the bathroom. But they were good days. And for each moment I wanted to run away, there were a hundred more that I felt my heart would burst with love and joy for these beautiful children and their chaos. I have to be vulnerable for a moment here and say that I'm sad to see that season slip away. I'm a year into this "empty nest " thing and I don't like talking about it in the past tense, as if it is over and done. I love being a mom, and I miss the days of having a baby on the hip and crayons on the floor. I wish the two babies we lost were here, because they'd still be growing up, and arguing over who got more, and making me laugh with their funny ways. Yes, I love this quiet house and I feel I've earned some time to myself, but to be honest, I feel a sense of mourning that something beautiful is gone...and an uncertainty about what the future holds for me. I'm reminded again that God knows the seasons of our lives - the moments, the hours and days that go into the stories He has written for us. Just as I could not have imagined the beauty and the work and the heartache and the joy that my motherhood years would hold, I cannot imagine what things lie ahead in this new season. I can only trust that He has thought everything through and will be with me as I go into uncharted waters. Perhaps there is beauty and work and heartache and joy - everything that has made the past so spectacular - in what is ahead and I can't yet see it. And so I trust. And hope. And believe. That He is God of our life's seasons and He will make everything beautiful in its time. Are you in a new season of life? Maybe you are a new mom, like my daughter Lauren, and you are in uncharted waters too. Perhaps you are recently single, or are making a move or taking a different job. When things change, we feel the earth move beneath our feet and become afraid that we'll never find a firm footing again. That's just where I am today. But....I know this and I cling to it: God is faithful. He keeps us in his loving care and sets our feet on solid ground. We will find our firm footing if we trust Him. Psalm 40:2 ...He set my feet on a rock and gave me a firm place to stand. On Fridays, I open up my blog for "Company Girl Coffee," a simple link-up for friends. If you are a blogger, I hope you'll add your blog to the list so we can get to know you. If you are not a blogger, feel free to chat with us in the comments. Let us know who you are and what is going on in your life. We are all on a journey - we have Company Girls from college-age to great-grandmothers - and we've found a common thread here. Love for our families, faith in God, hope for the future and the power of small things done in love. Last night I got to babysit my new little granddaughter while her parents when out for their "first date after baby!" Ivy is five weeks old, so it was time for them to spend a few hours away - alone. I had to get lots of kisses in, since it had been almost two weeks since we'd seen each other. That's too long! Oh good....that means I get to kiss Ivy this morning when she wakes up!! I've got to hit the road for home first thing this morning, so I'll simply leave ya'll with the linky for Company Girl Coffee. I don't know if I'll have a chance to get a Small Thing posted later today or not. My sweet friends, it's my prayer that you'll know His presence today - He is with you and will never leave you no matter what. He is going before you and knows every detail of your circumstance. Nothing surprises Him. Trust Him to take care of you...He is faithful, He has a plan for you and He loves you. Even if you can't see what he is doing, you can rest in the knowledge that He is working for your good and His glory. What is on your heart today? Is there a verse or message God is speaking to you? I hope you'll share - either in the comments or in a blog post. Link up and let us know what's happening in your life. How has God shown Himself to you this week? I wanted to e-mail you with a little thought that made me laugh out loud this morning. (There was no one in the room with me so it practically echoed!) I was at my desk and I noticed an empty wine glass and a coffee mug just hanging around taking up space. Uh Oh...what should enter my mind, but a Small Thing from my past. Yep, you guessed it...Celebrity Mug Shots! I went around my house from room to room and I am embarrassed to say that I rounded up a dozen stray mugs and glasses! Just goes to show you what a big effect the small things can have on your life. They stick with ya! It's been a couple of years since we did mug shots, so I thought it would be a great time to bring it back. Thank you, sweet Melissa...for reminding me that Small Things matter and that they make a difference! Celebrities never look as glamorous in their mug shots as they do on the red carpet. James Brown: Do you feel good? Keifer: How DO you fit it all into 24 hours? Shia: Too plastered to be remorseful. 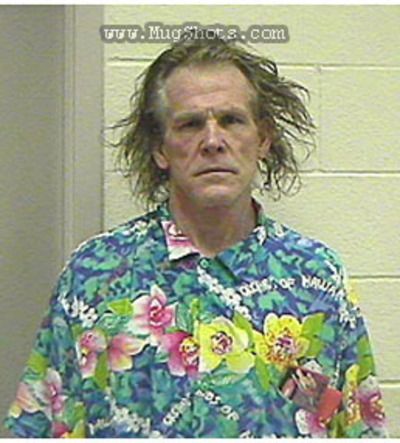 Nick Nolte: Scary hair, dude. This criminal finds his way all over my house. He and his frat brothers, the water glasses, like to party in front of the TV, in the bedrooms and even in the bathrooms. The kitchen counter is another one of their hangouts. Lawless bunch of loiterers. They're even bringing up a new generation of ne'er-do-wells, the sippy cups, who generally end up joy-riding endlessly in the minivan or stuffed behind furniture. Today's Small Thing is to be a cop and round 'em up. Too tired? Hire your kids to be bounty hunters and find those outlaws. However you choose to find them, bring them to justice and put their mugs in the slammer, or wherever they belong. 20 points per cup, mug (or wayward glass)....no limit! Round 'em all up! What is going on in your life? Although host Company Girl Coffee each week, I've been unable to get around to visit with each of you for the past few. After Tom gets out the door, I plan to sit down with my coffee cup and spend some time making my rounds. I hope you'll link in so I can check in on ya! Simply add your blog to the linky tool below (if you're reading this in an email version, pop over to my blog and you'll see the list) and let's chat! Of all the things that pile up in our homes, paper is one of the hardest to deal with. Every day there are receipts and bills, junk mail and magazines, school papers, art projects, tax forms....and it's difficult to know what to do with it all. The Organized Home has some great suggestions for organizing your papers, and I really need those tips this week. With school ending, it seems like the paper piles are multiplying faster than a family of rabbits. Today's Small Thing is to tackle a paper issue. You might just take a few minutes to file things into folders, or maybe it's just a matter of throwing old junk mail away to make the pile smaller. The other day, I stored loose receipts into ziplock bags and just doing THAT made me feel so much happier! It didn't make my paper problem go away, but it made it seem more manageable. Try creating an "Action File" with files labeled "To Pay," "To Do," and "To File." That alone will conquer the baddest of the paper problems! POINTS: 40 for working on a paper problem...see if you can whittle away a pile! BONUS: 20 for sharing your paper tips with us! How do you deal with all the paper that comes into your house? Whew, I'm ready to take a load off and enjoy some virtual coffee with you. It has been quite a week, with Lauren's baby coming and getting her settled, and then getting back home to "pick up where I left off." To participate in this World's Easiest Meme, simply link your blog post into the linky tool below! You don't have to have a fancy post prepared, but we'd like to get to know you! What is going on in your life? Do you have a paper pile - haha? A before and after pic of your containers from yesterday's Small Thing? A photo of your pet? We are easy to please around here....you get to choose the topic. Have a great weekend! Save a cup of coffee for me! Weighing in at 8 lb. 12 oz., Ivy has a good start in life. She is 21.5" long. A KEEPER! Blue eyes and (possibly) reddish hair....and all ten fingers and toes. Can you tell I'm in heaven? I'm pinching myself to believe that this is all true! I'll be back on Monday with the Small Things. For now I'm enjoying this precious new gift by helping my kids settle into life as new parents. It's the most fun I've ever had. If you'd like to link up for Company Girl Coffee, I'd love to check in on you this weekend. Simply add your blog post URL to the linky tool below and you're all set! And ladies, go check out the blogs that link up and say hello!